Is your business using Google Adwords Bing Ads ? Get results FAST. Turn the campaign On or Off, anytime. Make tweaks, Test and Constantly Improve, Use what works. 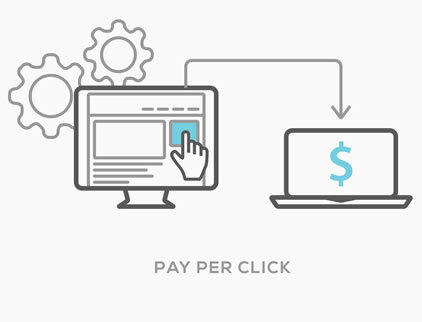 PPC, or Pay Per Click, is an advertising model used on search engines and other internet networks, where advertisers pay only when a user clicks on their ad. These Search Engine ads are sometimes referred to as “Sponsored links” or “Sponsored ads” and are usually found on top and/or at the right side of a Search Engine result. Google Adwords is currently the largest and most popular PPC program followed by Yahoo Search Marketing and Microsoft AdCenter. ArchiTech will work with you to develop a successful online advertising campaign by crafting compelling ad copy for your product or service offering, targeting the most effective keywords to bid on, and monitoring the activity for areas of improvement. In less than one day, your ad could be on the first page of the search engines and start driving customers to your website. It all depends on the competitiveness of the product or service you're trying to promote, as well as your pre-determined ad spend budget. There is no minimum monthly ad-spend requirement for us to manage your internet advertising campaigns, though we typically encourage our clients to budget a little more during the initial months. This helps us to gauge the actual amount of visitors your ad campaign will reach, as well as provide additional insight into the effectiveness of the recommended search keywords. We often find that we can significantly improve an ad campaign's performance by removing poor performing keywords, segmenting ads based on customer profiles, and by performing minor adjustments to the page the visitors land on after clicking the ad. After several months, the compiled data you have gained will reveal which keyword phrases and ad copy sends the most qualified visitors to your site.Tip: You can then use that data to optimize your site for organic search, knowing the keywords you are optimizing for will actually drive the right type of visitors! Beyond that, ArchiTech can create customized landing pages, perform split A/B or multi-variant testing to see which elements of a page lead to increased conversions, and much more. You can spend as much or as little as you like, and start or stop your ads on demand. Immediate Search Engine Visibility. Your ads will start running as soon as your ad copy and bid amounts are set. Transparency of marketing effectiveness. ArchiTech's detailed click statistics and visitor activity reporting gives you amazing insight and reliable information into who your actual website users are, how they searched for your product or service, and if they completed the desired "call to action". The Ability to quickly test and analyze reaction to new product offerings or marketing copy. No more guessing. Effectively determine which keyword search queries produce the best leads or increase sales without simply holding your finger to the wind. Flexibility. Spend only what you want. Stop and start ad campaigns at will. Get actual user statistics that you can use to optimize your website.